Can you tell me about minimum balance requirement under Orange Savings Account offered by ING Vysya Bank (now Kotak Mahindra Bank)? 1. The minimum average balance to be maintained in account, changes from Quarterly Average Balance (QAB) to Average Monthly Balance (AMB). 3. 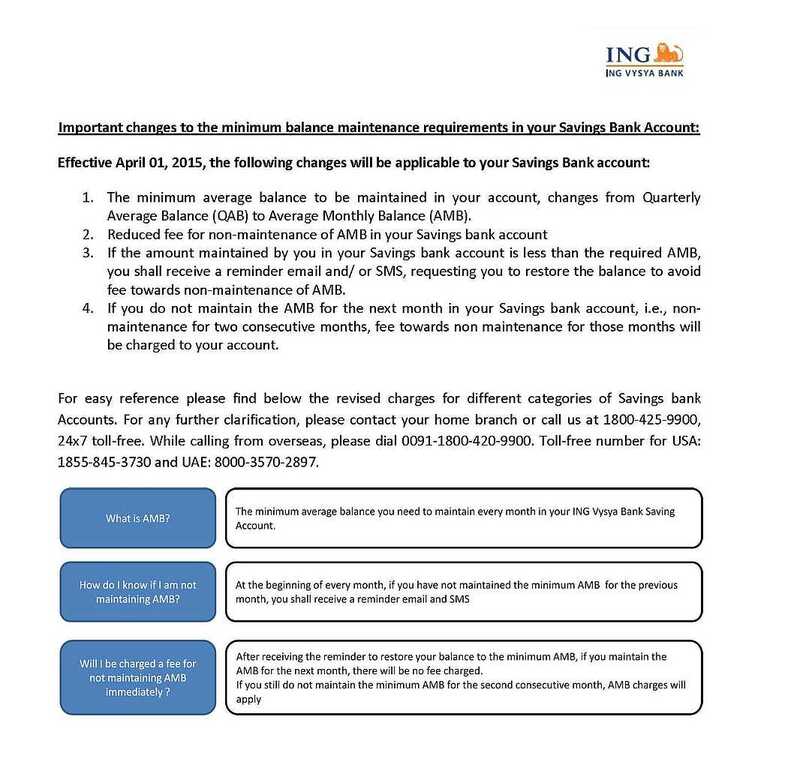 If the amount maintained by one in Savings bank account is less than the required AMB, one shall receive a reminder email and/ or SMS, requesting to restore the balance to avoid fee towards non-maintenance of AMB. 4. 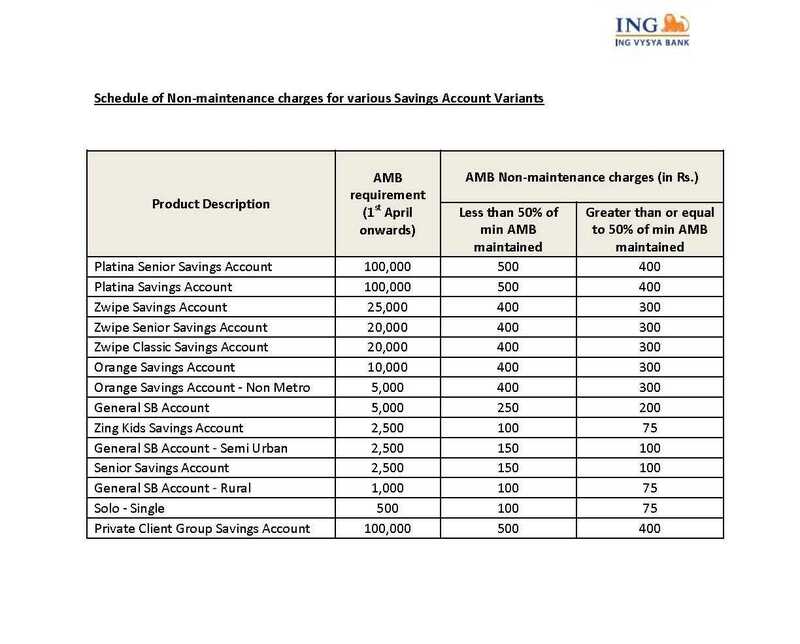 If one does not maintain the AMB for the next month in Savings bank account, i.e., non maintenance for two consecutive months, fee towards non maintenance for those months is charged to account.